One of the best breakfasts I’ve ever had on my travels was at the Shangri La Hotel in Kuala Lumpur, Malaysia. 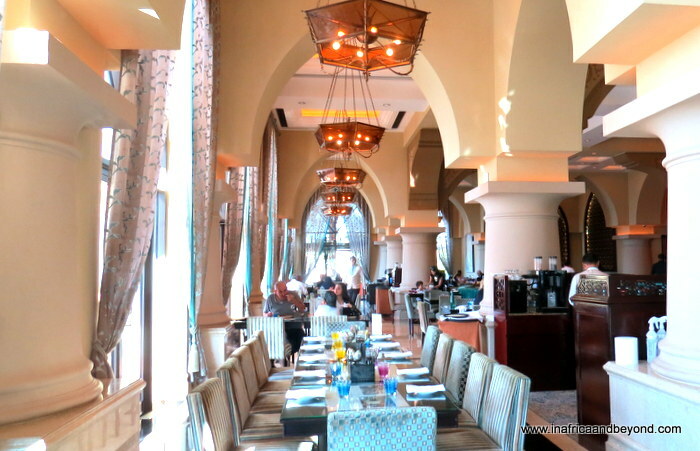 That is why, when the opportunity arose to have lunch at the Shangri La Hotel Qaryat Al Beri in Abu Dhabi during my visit to the UAE, I didn’t hesitate to take it. 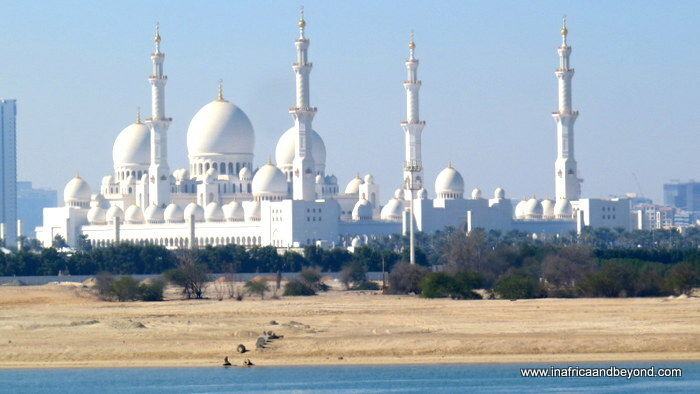 This ultra-luxurious hotel is located on a private beach, a short drive away from the Sheikh Zayed Grand Mosque. We were welcomed by the elegant hostess and the doormen as we entered the expansive lobby. The opulent lounge area beckoned to us and we decided to relax there and enjoy the panoramic views of the strait and the mosque from the front deck for a while, before heading for lunch. Even though we could see the mainland, it felt so much more peaceful here, within the sanctuary of the Shangri La Qaryat Al Beri. The hotel boasts four restaurants, including Sofra Bld, an all-day dining restaurant and Shang Palace, which serves authentic Chinese cuisine. 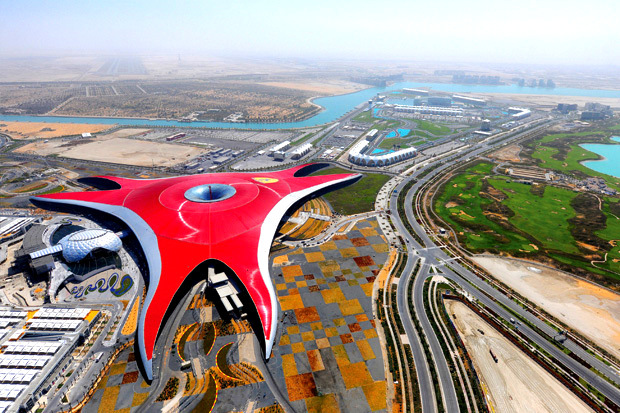 Both have won many accolades and are often listed among the best places to eat in Abu Dhabi. 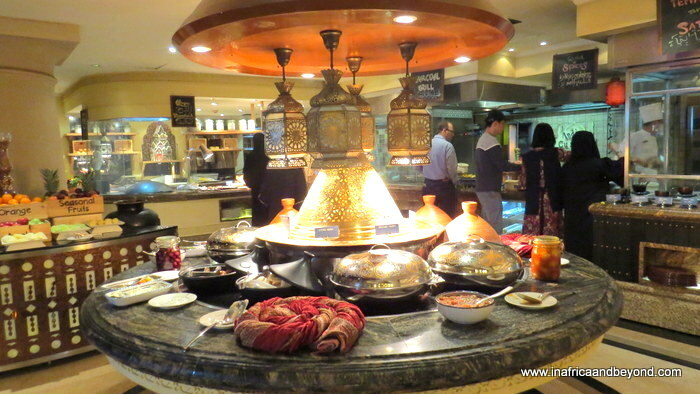 We opted to eat at Sofra Bld in order to experience a wider selection of the hotels offerings. A grand staircase led us from the hotel lobby down into the stylish seating area of the restaurant, which featured traditional Arab arches, and warm, natural tones, with splashes of bright colours. Tantalising aromas wafted through the air, whetting our appetites. 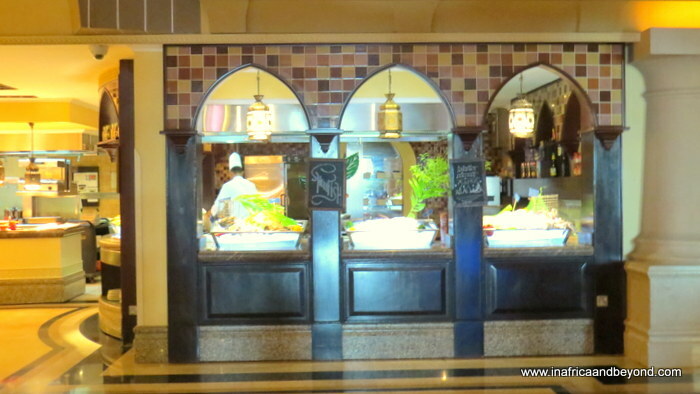 The buffet area is designed like a souk, with chefs at the different food stations showcasing cuisine from their home countries. Sacks of spices, classic lanterns and tasteful Levantine decor added to the souk atmosphere and made us feel as though we were in a scene from the Arabian Nights. Most sections were designated by little black boards. Cuisine types included Japanese, Indian, Moroccan and Arab. 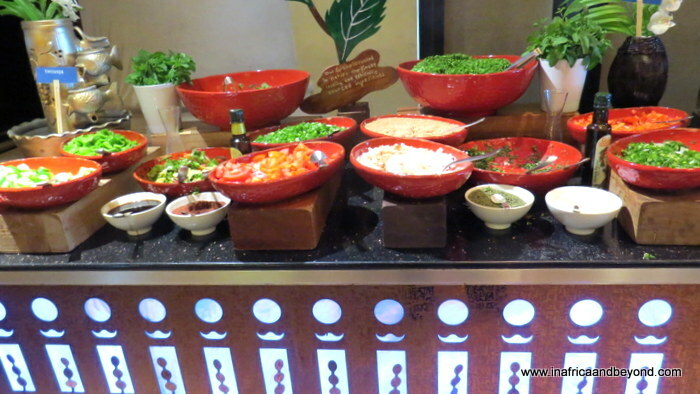 There were salad bars and sushi bars, breads, mezzes, cheeses and so much more. Pescaterians would love the fish section where you choose your fish or shellfish and the chef will grill it for you. It was impossible to taste everything there as there were just too many dishes, so everyone gravitated towards their favourites. We particularly enjoyed the fillet steak, the many varieties of sushi, the prawn curry and the tagines. One of the dishes in the Indian section was butter chicken, my son’s favourite, which he loves eating with naan. I asked the chef there for naan, and he made piping hot ones especially for us. 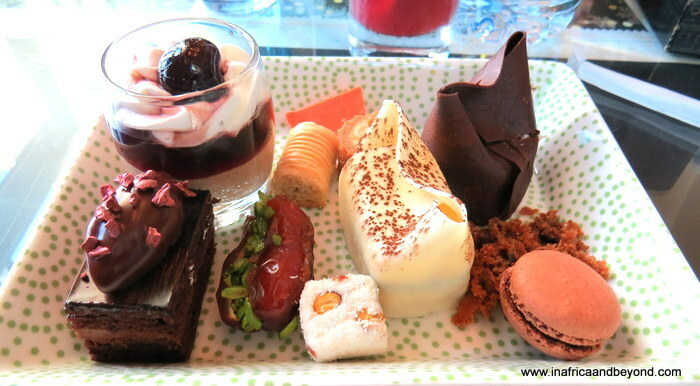 The sweet section was appropriately titled “Dessert in the Desert”. There were cakes, pastries, baklavas and many varieties of desserts. One of the local specialties was Umm Ali, a traditional Arab dessert which combines bread pudding with flaky pastry, and is sprinkled with coconut, pistachios and other nuts. To the kids delight, there was an ice cream section with many flavours and a chocolate fountain too. They had remembered the chocolate fountain from our visit to the Shangri La Hotel in Kuala Lumpur, a few years ago and had asked me if there would be one here. The restaurant was quite busy as it was a Friday afternoon, which is the weekend in Abu Dhabi. The service was still attentive though. Our waiter brought us some very creative mocktails to quench our thirst and coffees to end our meal. After a very satisfying lunch, we attempted to digest our food by taking a walk to the Souk Qaryat Al Beri, an attractive indoor souk near the hotel. It was a great way to spend a Friday afternoon. Go on. 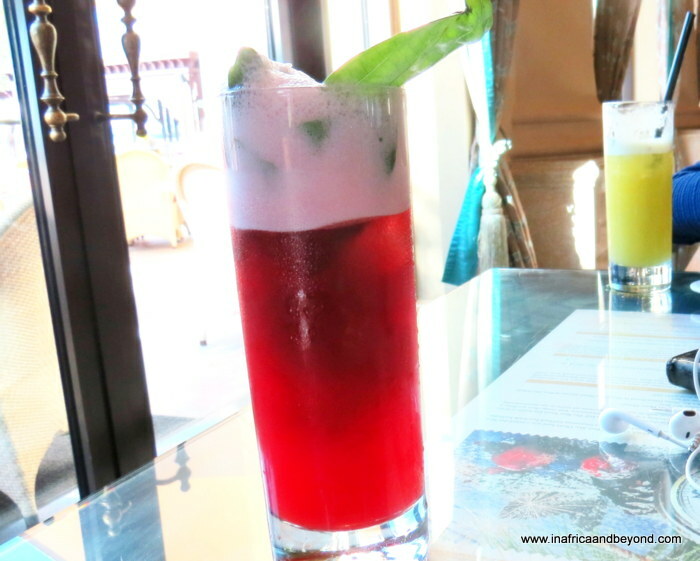 Pamper your palate at Sofra Bld – Shangri La Qaryat Al Beri . You won’t regret it. For more information, visit Sofra Bld at Shangri La Hotel Qaryat Al Beri.